Matt Auckland, a well-known presenter and DJ in the Southampton area, has died at the age of 40. 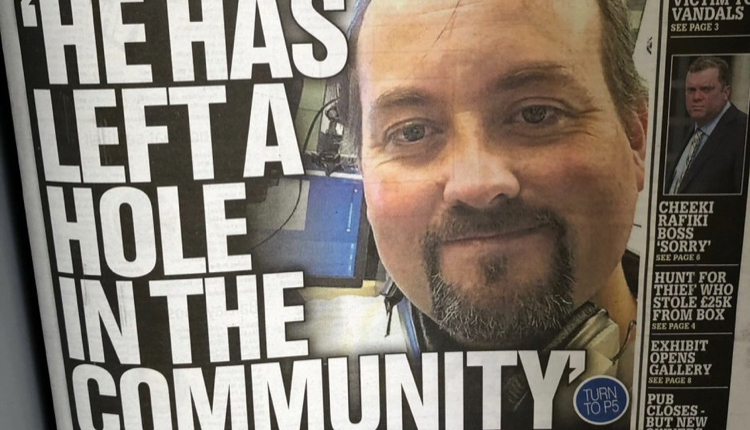 Matt was a freelance presenter, working and helping at a number of radio stations in Hampshire including Unity 101 community radio and Voice FM. He hosted a syndicated show called the Global House Party and owned his own IT Solutions company. He also founded Sumo Radio – his own ‘digital broadcast media brand’ which played dance music online. He had been battling cancer for the past year, and the front page story in Saturday’s local newspaper reports his funeral will be held at St Peter’s Church in Bishop’s Waltham on May 16 at 2pm. Tributes have been paid by friends and colleagues on social media, and we’ve included a few below. One of the most beautiful souls has sadly left us and I'm truly devastated. A man who has been nothing but a gentleman, he'd given so much time to others, a wonderful friend for nearly 20 years. Andover Radio sends it condolences to Matts Family and the community radio as a whole. Ferry FM is sad to learn our radio colleague Matt Auckland has passed away. When Ferry FM was being refitted a few years back, Matt was on hand offering advice and guidance and asked about the station over the years.